Leor Domatov, a 14-year-old boy, was testing e-cigarette vaporizer when it blew up and left him blind in one eye and with potentially permanent damages in his hands and his face. Damatov went to Plaza Vapes kiosk in Brooklyn’s Kings Plaza Mall, New York, to taste an e-cigarette, but it exploded in his hands and face after an employee connected one the vaporizers to the battery of the store, PIX11 reported. “I can’t see anything because I got a cut through my cornea,” Domatov told the news station. State and local law forbid the sale of e-cigarettes to minors, which means that Domatov, at his 14 years old, wasn’t legally able to buy the product. His serious injuries may not only sow doubts about the safety of the s-cigarettes but about how much are these products at the reach of teenagers. Domatov’s father hired Marc Freund, a partner at Lipsig, Shapey, Manus, and Moverman, with the intention to sue the kiosk owner and mall. According to CBS New York, Domatov spent five days in the hospital. 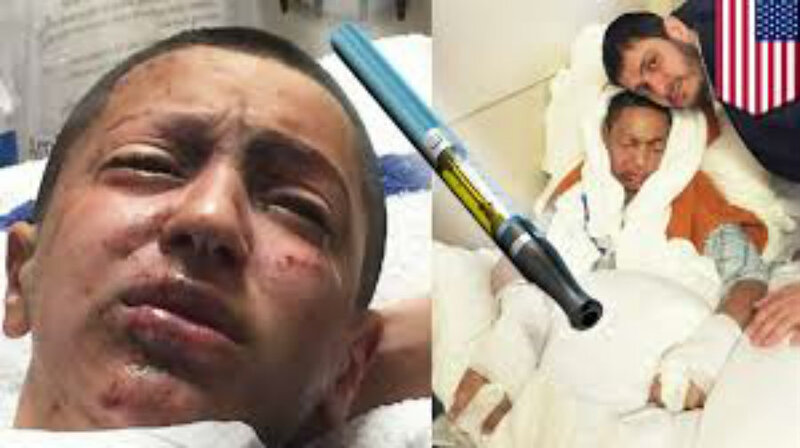 His attorney said he was maimed and blinded by an exploding e-cigarette. Domatov said that he approached Plaza Vapes kiosk with his friends at the Kings Plaza Shopping Center in Brooklyn. He said that the employee sowed him different types of vaporizers, then he connected one of them to the battery of the store and when he give it to the 14-year-old boy, it blew up in his hands and his face. Domatov has to constantly wear sunglasses because the explosion sent shrapnel flying into his eyes. At first, the teenager was confused and didn’t know what happened, then he realized his nose was bleeding . He explained that he can see anything with his left eye because he got a cut through his cornea, and in his right eye he just has a little bit of vision.